MIYAGI (TR) – A man was shot to death after he fatally stabbed a police officer at a police box in Sendai City early Wednesday, reports TBS News (Sept. 19). 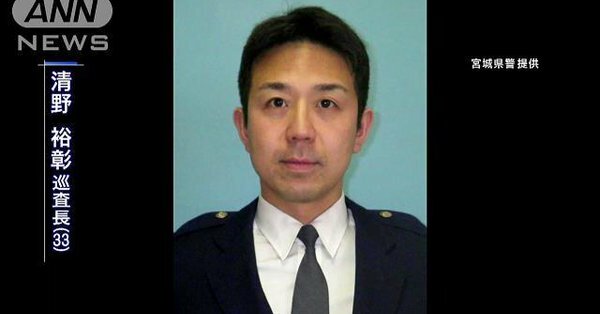 At around 4 a.m. the man visited the Higashi-Sendai koban in Miyagino Ward to hand over lost cash while officer Hiroaki Seino, 33, was on duty. A male sergeant, 47, who was in an adjacent room, heard a skirmish break out between Seino and the man. Responding to the noise, the sergeant found Seino collapsed and bleeding. The sergeant then ordered the man to halt as he held a knife with a 30-centimeter-long blade and a toy gun. However, he instead approached the sergeant, who shot him three times. Seino was rushed to a hospital where he was later confirmed dead about 90 minutes later. The man, believed to be in his 30s or 40s, was also confirmed dead.